So this October we are launching the start of a new mind set towards Black History, we want to remove the ‘Month’ and replace it with ‘Season’ because Black History is a lot more than what can be crammed into one month! 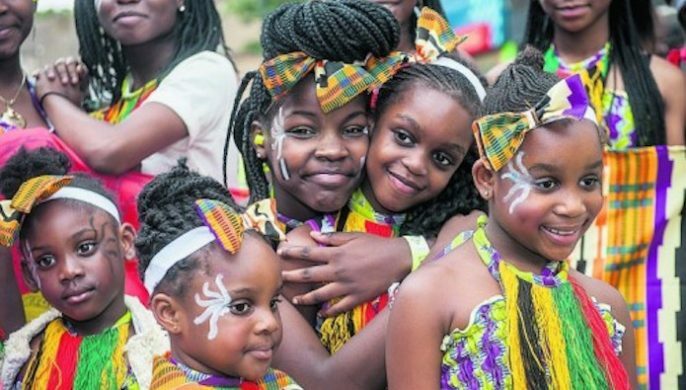 Living in such a diverse borough, it is so important to recognise and celebrate all the cultures and histories that make Hackney such a unique and vibrant place to live. So this Black History Season we want to make sure you know about all the amazing things going on in our borough to learn, understand and celebrate how Black History has contributed to the Hackney we live in today. There’s something for ALL ages this Black History Season! We have an incredible programme at the Hackney Museum including a #BlackHistoriesMatter youth takeover – as we reveal the poetry, petitions and protests of African and Caribbean young people from the past, a special exhibition celebrating the English-speaking Caribbean through stunning photographs. Soca dance aerobics at Kings Hall, a screening of the Maya Angelou’s documentary ‘And I still Rise’ at Hackney Central Library. And ‘My Hackney’ – Black History walking tours. Which will start from Hackney Museum and Dalston CLR James Library covering a range of historical spots. So you can literally walk around your borough and learn key places in our hometown that are significant to Black History. All our hubs will be celebrating all season long! Concorde, Stoke Newington, Forest Road and The Edge all have programmes packed with culture and fun for you to engage in! Our youth hubs will be exploring Black History through cooking and food tasting sessions, looking at different flags and the meanings behind them, as well as studying unsung Black activists such a Steve Biko. Studio sessions will study the origins of particular genres, sounds and their influence on music today AND there will be open discussions giving you the opportunity to speak about what Black History means to you as a young person and how it may influence you as a young Hackney Resident.